Our New Territories honey was made by wild bees at the Wing Wo Bee Honey Farm in Sha Tin. Longan fruit, also known as “Dragon Eye” fruit, has been specially sourced from local Hong Kong markets. English Fuggle hop comes from Kent, England, and has been used in various beers for centuries. 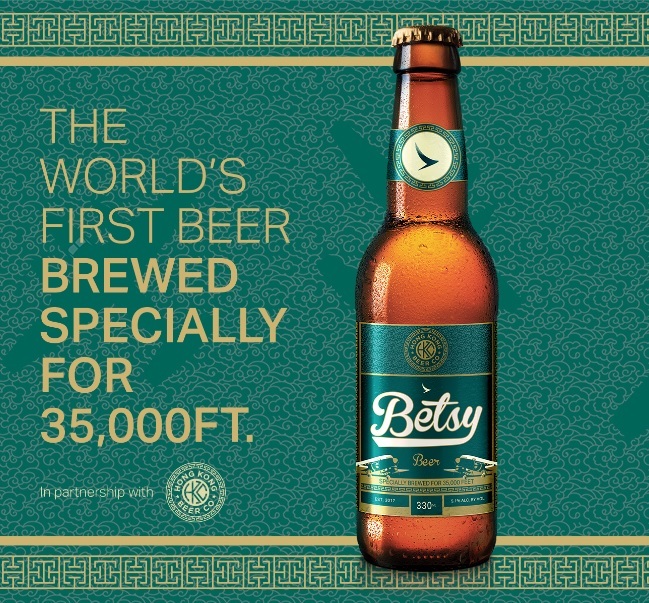 Betsy was the name of Cathay Pacific’s first ever aircraft way back in 1946 – this dependable Douglas DC-3 helped open up the world to Asia, and vice versa. They thought it fitting to name our latest ground-breaking product after the first great pioneer of our Cathay family. Flying soon? Don’t forget to match your trip to the shopping along your whole route with our Duty Free Hunter service. Fast & free we can show your where to shop for the latest products, best deals and exclusive events in airports and on airlines worldwide.